So I have reached a certain level of popularity when it comes to offering cosplay photoshoots. 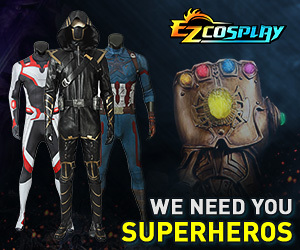 Normally I post a thread on a website like cosplay.com and go through responses as I get them. Now I have come to a point where people have begun contacting me months prior to posting sign ups and the convention itself about setting up photoshoots. The last large convention I attended I was in contact with around 40 people trying to sign up. Now I have considered (doing this for free currently) in an attempt to make it fair and interesting is to have people sign up and wait until about 2 weeks from posting to go over them. Then pick people based on a combination of factors such as quality, uniqueness, cancellation history, etc..
On the other hand I would be worried about putting off people who may not be so experienced as I am always looking to work with the new potential. Then there is the idea of just not openly posting signs up in general and trying to contact people directly. How do you handle sign ups and what do you suggest? I generally don't do sign ups at all because I don't want to miss out on a potentially great cosplay while at the convention. If I were you, I'd offer sign ups publicly for one day of the convention. Do it however you feel is fair. If you want to create a public image of first come, first serve, that way you won't create a suspicion about rejecting cosplayers over quality, then that's what you do. Then, you hold off on making an announcement that you're fully booked, until you get a lot of cosplay requests that you're happy with. Once you're satisfied, take the first people who publically signed up and give them shoots on your announced day. Then, if there are cosplays that are really awesome that you know you can't miss, but let's say they didn't respond quick enough, or see your post, you can secretly schedule those for other days of the convention. This way, no one feels like their cosplay wasn't good enough because you went with a first come first serve policy, but it also allows you to make sure you get the cosplays you want by privately scheduling those shoots on different days. 1 day for public, the rest for private, or some combination of the 2. I hope this resolves the dilemma you're starting to have.